It was a “dog day morning” for a crew of firefighters working in Oxon Hill today. 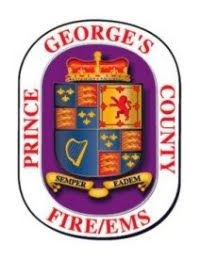 Firefighters from the Oxon Hill Fire/EMS Station 821 on Livingston Road were alerted along with nearby EMS units to a person suffering chest pains in the parking lot near the Home Depot in the 6000 block of Oxon Hill Road. Upon arrival Fire Lieutenant Michael Kerper, Fire Fighter/Medic Tim Brown and Fire Fighter Kyle Clagg made patient contact and started to assess the patient’s chief complaint. 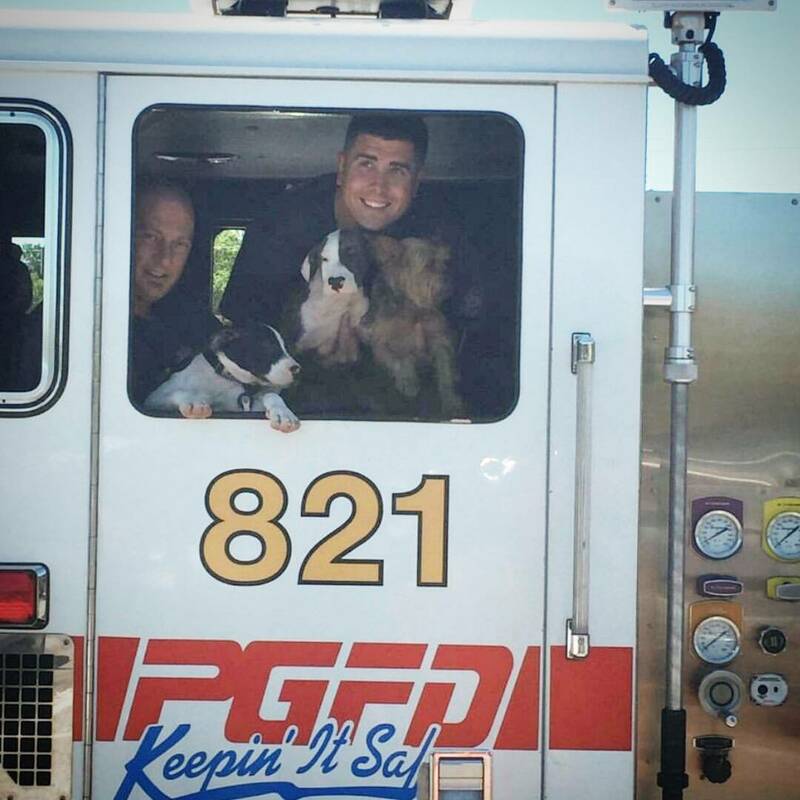 The patient was found in his vehicle and was accompanied by three dogs. The man informed firefighters that he had been drinking and was intoxicated. The crew offered to transport him to a nearby hospital, which he declined against medical advice. 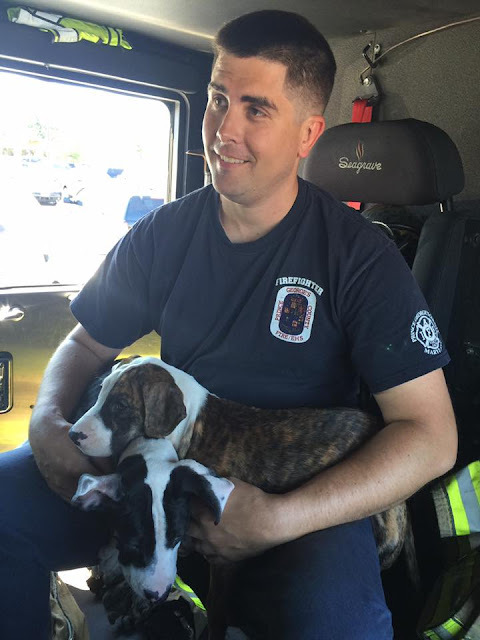 Firefighters feared for the safety and well being of the man and his dogs if allowed to drive in his condition. Police were called to the scene and arrived quickly. Officers advised the man he was not to drive his vehicle and suggested he walk a short distance to his house. Rather than allow the man to walk home with his three dogs firefighters offered to drive the dog’s home on-board the fire engine. The dogs arrived home safely after enjoying the unique ride home. The story, however, does not end there. While on the scene tending to the man and his dogs the crew noticed a dog unattended in a parked vehicle with all the windows closed. The dog appeared to be in some distress and the firefighters made a decision to intervene. As one crewmember retrieved a tool to smash a window another member of the crew checked all the doors of the vehicle and found one unlocked. 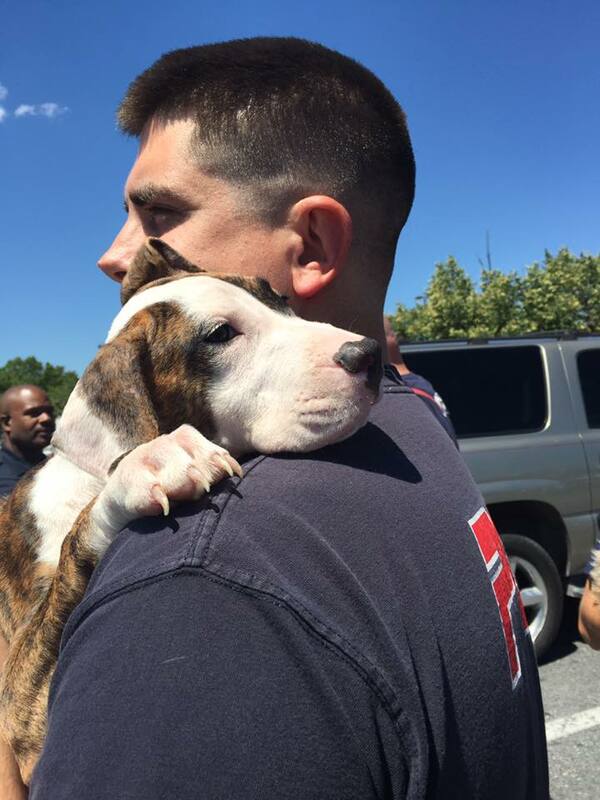 The dog was removed and tended to by the firefighters until the owners return to the vehicle. 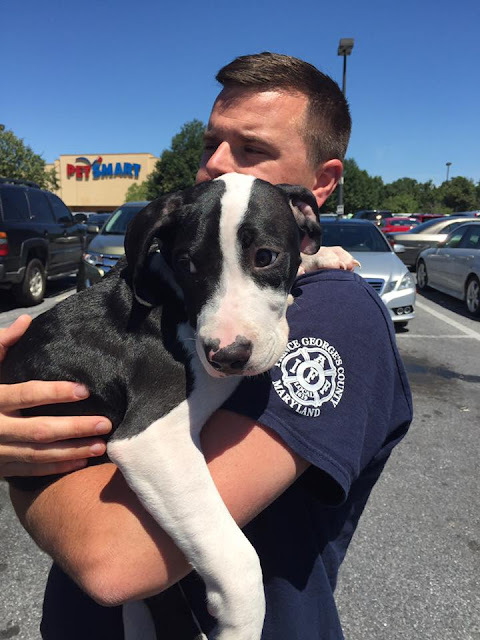 Firefighters, in a very professional manner, advised this dog’s owner of the consequences of leaving the dog in a car with rising temperatures. 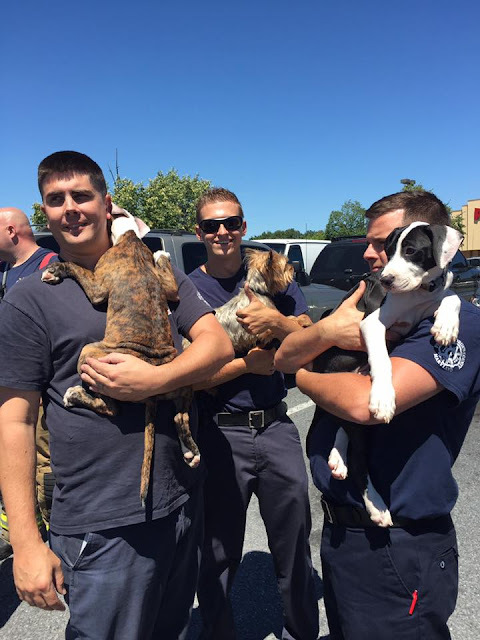 Job well done by the firefighters in ensuring the safety and well being of our residents including the four-legged furry ones.